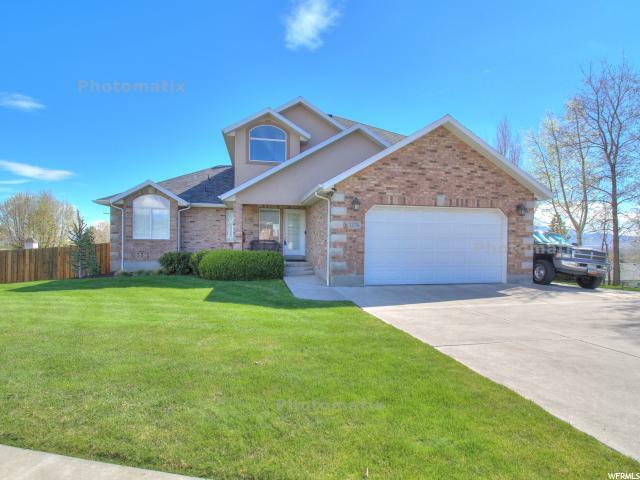 All CEDAR SPRINGS homes currently listed for sale in Lehi as of 04/19/2019 are shown below. You can change the search criteria at any time by pressing the 'Change Search' button below. "Large 5,650 square foot home with mother-in-law apartment. Granite countertops, raised & staggered cabinets with crown molding. Stainless steel appliances. Office, sitting room, and large family room with fireplace on the main floor. Vaulted ceilings. Large master bed and bath with jetted tub and private exit to backyard deck. Oversized laundry room with additional wash basin. 3 bedrooms upstairs all with walk-in closets. Jack & Jill bath. Big backyard on .35 acres, fully fenced, in-ground trampoline. Quiet cul-de-sac, 1 mile south of IM Micron, 1/2 mile from Costco, Lowes, The Meadows, Wal-Mart, etc. Quick I-15 access, 40 mins. from downtown SLC, 30 mins. from downtown Provo. Walking distance to High School, Jr. High, and Sego Lily Elementary. 2 water heaters, 2 furnaces, and 2 A/C units. Square footage figures are provided as a courtesy estimate only and were obtained from county records . Buyer is advised to obtain an independent measurement." " Million Dollar Views from this amazing North East Lehi home on nearly a 1/2 acre lot! This extremely well kept home features a main floor master suite with 2 walk in closets, large jetted tub with a separate shower. The great room off the kitchen has 18 ft ceilings and views of Utah lake and the entire valley. Upstairs there are 2 additional bedrooms with a Jack and Jill bath, large loft, and a hidden room behind a bookcase. The basement is mostly sheet rocked and could be finished off as a basement apartment with its own entrance and parking if desired. The huge backyard is very private with a detached garage, shed, playground, and plenty of room to park all your toys. They don't make homes like this anymore. You will not find a nicer, cleaner, more well maintained home than this. The roof is a year old. Minutes to all major shopping and freeway access this is the one you have been waiting for! Square footage figures are provided as a courtesy estimate only and were obtained from county records . Buyer is advised to obtain an independent measurement. Owner Related to Agent."